Born Nigeria, 1955. Bachelors, Pharmacy, University of Ife (now Obafemi Awolowo University), Nigeria (1977); Lagos Business School; Owner/President Management Program 29, Harvard Business School (2000). Victor Osibodu founded Vigeo Holdings Limited as a marketer of corporate gift items in Nigeria in 1985. It has since grown into a diversified business group focused on providing marketing services to companies so they could grow faster, and now spanning finance, marketing and distribution, oil and gas, power and shipping. 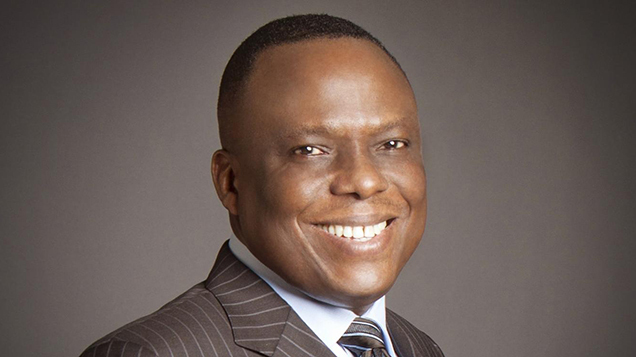 This growth has propelled Victor Osibodu into being one of Nigeria’s most prominent business leaders, and he and his banker wife Funke Osibodu have been called two of Africa’s leading power couples. In this interview, Victor Osibodu talks about the importance his background, including being born into a large polygamous family, education as a pharmacist, and employment in the Nigerian affiliate of the British-based Boots Company, for his subsequent entrepreneurial career. Osibodu explains how and why the group expanded by identifying and filling gaps in Nigerian business structures, and how the organization evolved as it grew from being very centralized around him to decentralization in stand-alone subsidiaries. Osibodu discusses at length the causes and nature of corruption in Nigeria, and his own “higher purpose goal” of contributing to the development of both the Nigerian people and the nation as a whole. "Interview with Victor Gbolade Osibodu, interviewed by Akinseye Akinola, Lagos, Nigeria, April 24, 2013, Creating Emerging Markets Project, Baker Library Historical Collections, Harvard Business School, http://www.hbs.edu/creating-emerging-markets/."